Amanda Louise Swimwear is a brand that is all about Women Supporting Women. This year, they launched their Team Sponsorship Opportunity and the Team AmandaLouise Calendar. In the spirit of sisterhood amidst competition, AmandaLouise Swim offers design expertise that includes a measuring tape, an eco-friendly Swarovski Crystal chart and fabric swatches. 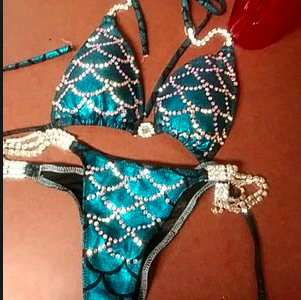 Every competition bikini is hand created and designed to order, ensuring the highest quality. We love the Team AmandaLouise Calendar, where competitors can join a sisterhood that offers support, guidance and information to help all bikini athletes succeed. Look for the upcoming calendar to officially become part of the AmandaLouise Team.